Anna Pavlowa (also known as Anna Pavlova, or Anna Pavlovna) was a Russian prima ballerina during the late 19th and early 20th century. She famously created the role of The Dying Swan, and, according to Wikipedia, is credited as the first ballerina to tour ballet around the world. Ms. Pavlowa states that she is teaching the Russian Gavotte, which she claims is a favorite in Russian ballrooms. 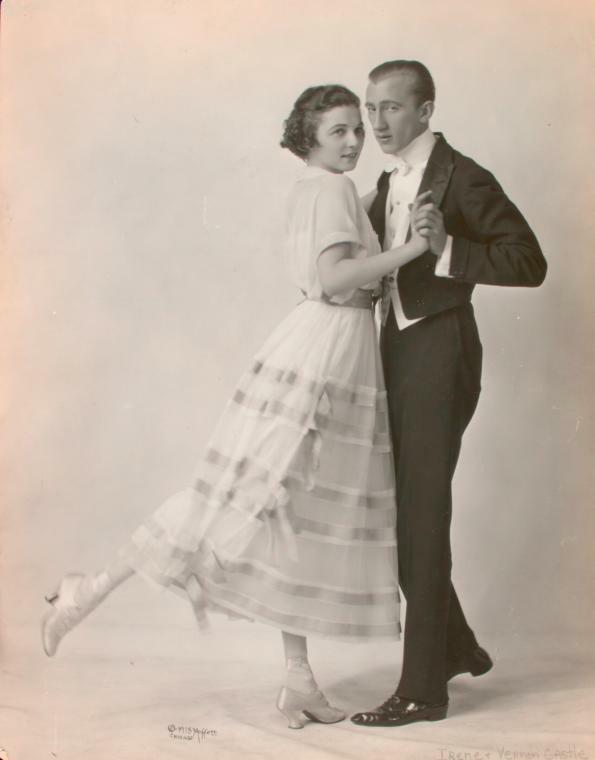 She provides several solo photographs demonstrating Gavotte poses, pointing out that no partner is needed for illustration as both gentleman and lady face each other while striking the same poses on the same feet. The key, it seems, is to execute the upper body movement while taking care not to disturb the foot placement. The cover photograph, and the photograph reproduced above capturing Ms. Pavlowa in her famous Dying Swan role, was provided by Wikimedia Commons, which describes the photograph as in the public domain. The article discussed above was provided by Chronicling America.